It’s a pretty normal question to ask: how long is this going to take? The honest answer is that it depends — on your goals, your situation and how much work you need done. That’s actually one of the best parts of TaylorPerez.com– they look at you as an individual and build your own personal Game Plan accordingly. Your Game Plan focuses on the areas that will make the most impact– and helps the TaylorPerez.com experts get to work quickly to make sure your creditors are being responsible regarding the information they’re reporting about you. As you’re looking over your credit situation, a question pops up: what if most or even all of my negative items are accurate? Will credit repair still work for me? Well, there are more opportunities for change and growth than you might think. Here’s why. Creditors sell very critical information about you every day. It’s information that can affect almost everything in your life, from your car payment to your house to your job. So, it’s important to make sure that that information is as substantiated, timely, accurate and fair to you as absolutely possible. A lot goes into these definitions. This is where the TaylorPerez.com experts come in. It’s their job to help you assess the items on your credit report and then intervene with your creditors to help uphold these standards regarding the information they report about you to the bureaus. So, see what the process can do for you. It might surprise you how much is possible. It might seem like thinking about credit repair while you’re going through a bankruptcy is kind of like putting the cart before the horse. But it’s actually one of the best things you can think about–and, yes, it may help in a few very important ways. When someone files for bankruptcy, it’s easy for revised items to slip through the cracks or be reported incorrectly. When this happens, the impact on your credit score can be more devastating and linger longer than it should. With the TaylorPerez.com experts, you have a team who knows all about the credit system helping to make sure that everything is appearing correctly and being removed when it should be. And when you’re dealing with something like bankruptcy, it feels good to know that experts who are skillful and trustworthy are looking out for you. To know whether credit repair is worth it, you just have to look at what your credit impacts. These days, it seems like it’s just about everything. When you start realizing how far it goes, it’s easy to do a little math. Not having ideal credit can cost you thousands and thousands of dollars over the course of a home or car loan. It can keep you from getting insurance coverage or even a job. It can make even everyday needs and decisions more difficult. When you compare this to the confidence and assurance of feeling in control of your credit situation and the opportunities that brings, the value of credit repair can seem pretty priceless. Luckily, having the experts at TaylorPerez.com working to help you tackle your credit issues costs only $99.00 a month. It’s a pretty great value that may impact a lot of the things you value most. TaylorPerez.com focuses upon how your credit reports look. In other words, they work to help you safeguard your financial reputation so that you can get the credit you deserve. On the other hand, debt settlement companies offer something very different – they negotiate with your creditors to create payment plans. Sadly, sometimes those debt negotiators can make your credit reports look even worse. Credit repair is unique. Rather than settling your debts, they work to help ensure that problematic negative items on your credit report are substantiated, relevant, accurate and reported fairly. And they work hard to help get them removed when those standards are not met. As valuable as the possibility of better credit is, the cost to start taking control of it is simple: it’s $299.00 to get started and $99.00 per month for 18 months. There will never be any additional costs or fees – it’s that straightforward. We are based in Palm Springs, California with a remote office in Los Angeles. However, our professionals are available by phone or email enabling us to help clients all over the country without having to have an office in your area. What are the hours I can speak with a TaylorPerez.com professional? Loan applications– Lenders rely on credit to recommend new customers. When your credit is low, your borrowing power is stifled by risk. In this economy, mortgage and auto lenders are tightening their restrictions when it comes to drafting new loans. More is required of the average borrower, including a sizable down-payment and a credit score of 720 or higher. If your credit score is stalled, it could spell trouble when applying for a new loan. Interest rates– Interest rates depend heavily on your credit score, a number that is calculated based on the level of risk found in your credit report. If your past is peppered with late payments, collections, bankruptcy, etc., the result may equal higher interest rates. As your credit score improves, you’re likely to see a reduction in interest, allowing you to save money over time. Insurance premiums– Insurance is the business side of risk mitigation, so it’s no surprise that a clean credit report results in better rates. Insurance providers rely on your financial track record to determine your risk levels in other areas of life. A low credit score is often viewed as high-risk behavior. Employment opportunities– Many employers now require credit checks before hiring a new team member. The job market is competitive, and managers use this strategy to gauge a new-hire’s level of responsibility. Despite your qualifications, a bad credit report is likely to make you seem disorganized and careless—two qualities that should never appear on your resume. Savings– Favorable loan terms, interest rates, insurance premiums, and employment all add up to one sum: savings. A good credit score means leaner options. The less money you spend, the more you’ll have to save for emergencies, retirement, and education. Several laws provide consumers the ability to question creditors regarding accounts that are ultimately reported to the credit bureaus. 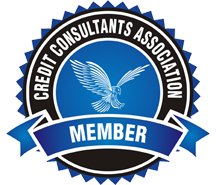 Everything appearing within a credit report must meet three consumer protection standards: Information must have been fairly reported, entirely accurate, and fully substantiated. In this regard, federal consumer laws protect all U.S. citizens, allowing everyone access to the same tools and resources. TaylorPerez.com is proud to help our members use these universal tools. Although our main office is based in Plantation, Florida, our services are available online and by telephone. Our skilled advisors will answer all your questions and help you on the path to better credit. When you work with us, credit repair is possible from the comfort of your own home. Steve’s credit score is 770, ranking him among the top scores in the country. He recently bought a $400,000 home with a 30 year fixed mortgage. His credit score allowed him to secure the best interest rate on the market. Across the street, Bill is attempting to buy a house that also requires a $400,000 loan. Despite the identical price, Bill’s credit score is a dismal 659. As a result, the bank will only approve Bill’s loan with a high interest rate attached. Over the next 30 years, Bill will pay over $650,000 more than Steve in accrued interest. Before considering a bad credit loan, why not take steps to improve your financial stability? TaylorPerez.com can help you pursue the better credit score you deserve, allowing you to pursue better interest rates in the process. Don’t settle for paying more money over the life of your loan. Play it smart and focus on credit repair first.